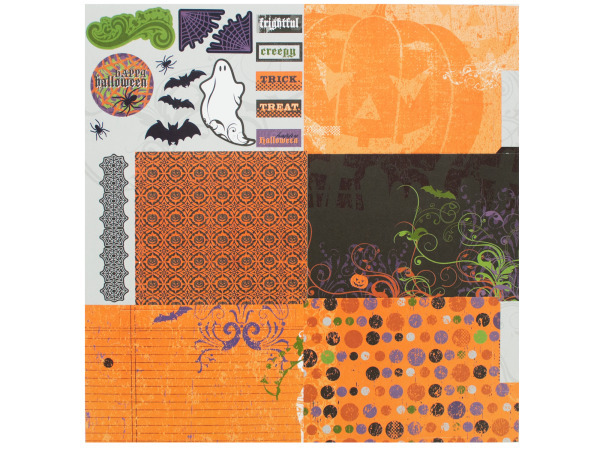 Create your own custom die-cut Halloween album with this fun Frightful Fold-Out Album Kit featuring folding albums with pockets and an assortment of graphics on cutout pieces and borders. A 'journaling' card is provided to use in the pocket. Further embellish your album with photos and more. Acid free. Assembly instructions included. Comes loose.